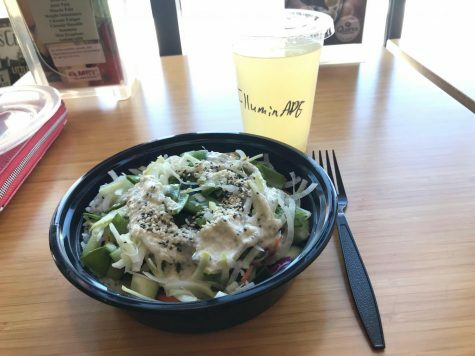 On this installment of The Good, The Bad, and The Delicious, we spent our week devoted to trying different vegetarian options around the Sartell/St. Cloud area. With “Vegetarianism” becoming more and more prevalent, we Seniors™ decided that we should do our best to try this new lifestyle and explore the different options available. 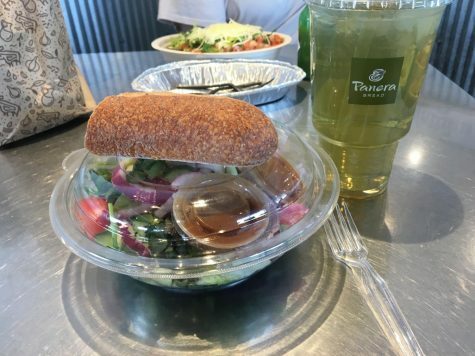 We decided to try three different vegetarian restaurants, including Panera, Chipotle, and Quarks. Panera offers several vegetarian options, along with customizable orders for a chain restaurant. We gave Panera 4 out of 5 leaves. Chipotle’s popularity has only grown with its variety of options available to the consumer. around. 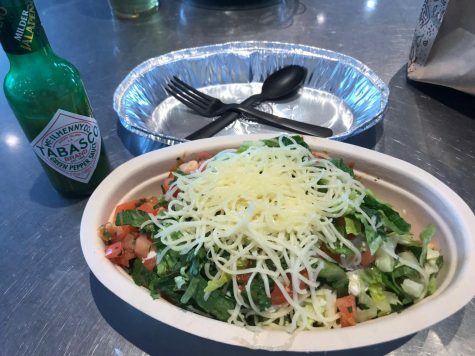 I got a burrito bowl with sofritas instead of chicken or steak, and I have to be honest here, it is possibly more flavorful and by far better than the steak or chicken for a couple of reasons. Firstly, it is both vegan and vegetarian-friendly because it is seasoned tofu, but that is not why sofritas are superior to other protein options. This tofu, you guys, is sublime, immaculate, it is the thing to get at Chipotle, paired with brown rice, black beans, corn salsa, sour cream, and cheese, it is impossible to beat and here’s why. It is seasoned to perfection, and when I mean perfection, I mean perfection in every sense of the word. The texture mirrors ground beef with none of the consequences (emotionally, that is). The flexibility of this aspect of a Chipotle meal is second to none. Moving from that magnificent, enlightening food exposure, I would like to touch on the rest of my Chipotle experience. I ordered online which saved so much time especially during lunch hour, and for my bowl, it was only $7.51 which was on the lower end of the spectrum price- wise. Now to come full circle with this review, I must also mention that what I ordered was completely vegetarian, and it is also vegan- friendly which is a breath of fresh air for vegans all over the area because it gives you a super tasty option instead of like, a salad or you know, vegetables. We have given Chipotle a 5 out of 5 leaves. Quarks is a newer restaurant located in downtown St. Cloud and offers a healthy option for commuters and locals. traumatized by the lack of parking that Quarks offers, but further, the emotional toll that came along with eating my bowl. 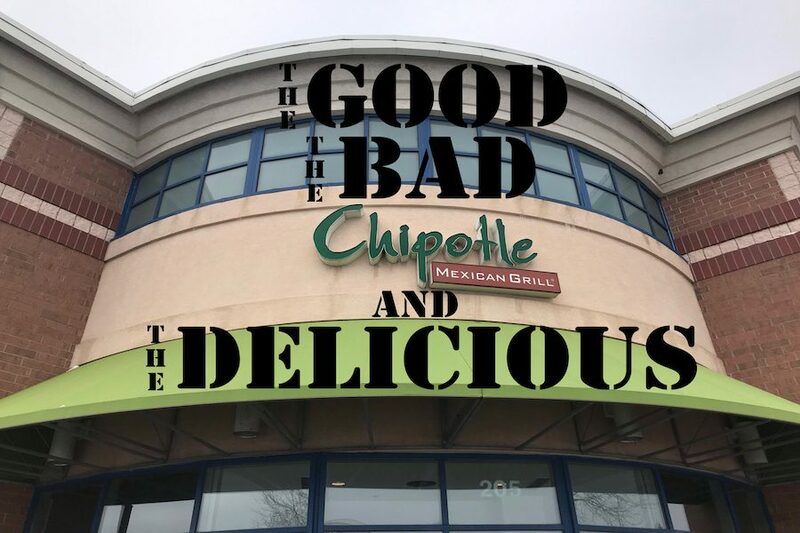 I was immediately drawing comparisons to a somewhat famous food chain, Chipotle, as the setup of the restaurant is extremely similar. You have the option of choosing what toppings you want on your bowl and can personalize it the way you want it. My bowl consisted of white rice, lettuce, carrots, cucumber, kohlrabi, snow peas, creamy cucumber sauce, and topped with a super-seed mix (consisting of flax seeds, hemp seeds, and chia seeds). I will say that for the whole $9.53 it cost me for my whole meal, I don’t know how worth it my meal was. After the first few initial bites I was vastly underwhelmed. I was not given enough of my creamy cucumber dressing on top and was not given nearly enough rice, so the majority of my bowl consisted of raw, unseasoned vegetables. I was also disappointed in the lack of protein options available for vegetarians. Normally I would assume that tofu would be a safe option, adding a little bit of flavor to an otherwise bland bowl. But alas, I had to do without. Overall I don’t think that Quarks was a horrible option. It is definitely a very healthy alternative to some other restaurants in the Sartell/St. Cloud area, but I don’t know how likely I will be to return to Quarks. We have given Quarks a 1 out of 5 leaves.